Garden Updates From the Backyard Farm. Well this rainy spring weather makes indoor gardening very attractive! And, I have been reminded that I promised some updates – mainly on trees with fire blight, sweet onions that overwintered and finding a microclimate for canna lilies. So, here are my promises kept, complete with photos. Fruit tree now looking healthy. You may recall my dismay at finding the Seckel pear that I planted – specifically because it is resistant to fire blight – had succumbed to this pretty much incurable malady. http://ucanr.edu/blogs/blogcore/postdetail.cfm?postnum=18340 Anyway, the short version is that I spent the summer hacking off limbs and branches that showed the “shepherd's crook” signs of the disease and watered sparingly. So far, this spring, my little tree looks healthy and happy! I do keep an eye on it, especially now that we are getting some wet spring weather. 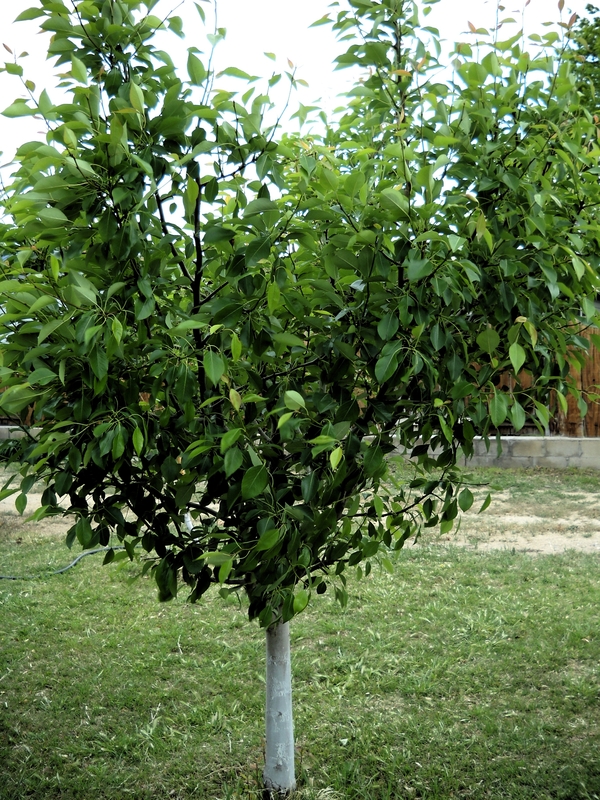 Additionally, I have not been watering it as much as the other fruit trees. My 'Pink Lady' apple, that also came through a bout with fire blight, is doing just as well. I am chalking this up to childhood maladies, as both trees were fairly new when this near tragedy came about. So, be of good faith and be diligent and be brave – especially when it comes to fire blight. The canna lilies did great! I cut them back and mulched them heavily with straw to protect them against the harshness of winter. As you can see, they are well established and promise to give a fine flower show, as they did last summer – a bit of Bali in my backyard. 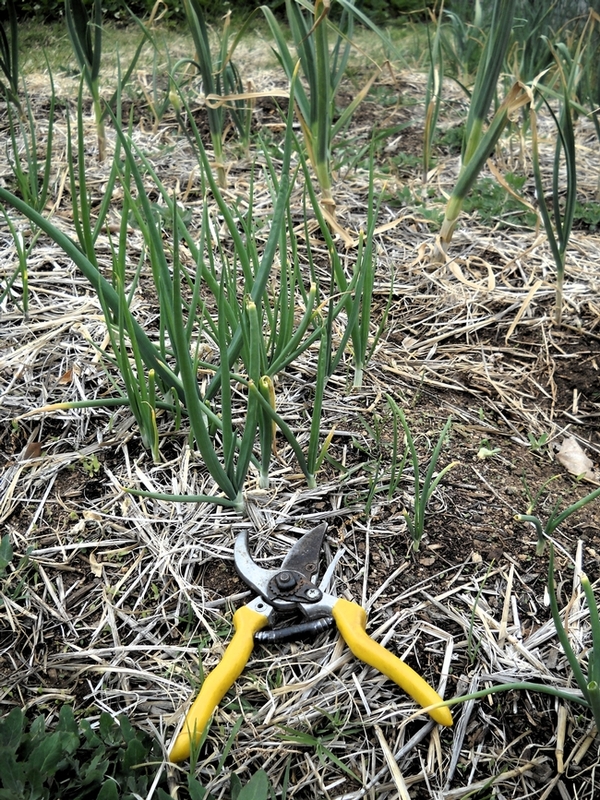 The sweet onions (Walla Walla) were planted from seed at the same time as I put in garlic to overwinter – about the middle of October. I mulched them with hay, though not too heavily, and they sprouted strongly, though they stayed small and managed to survive through the winter – even under a bit of snow, as you recall. They are now about a foot in height and I am thinning them – the green onions are lovely. I know that my garlic will be ready by June, and I am hoping that the onions will follow suit, as I plant sweet corn in that bed once the soil has warmed up and the winter crops have been harvested. So, that is the update on previous posts – in hopes that you will find inspiration for your gardening quests. 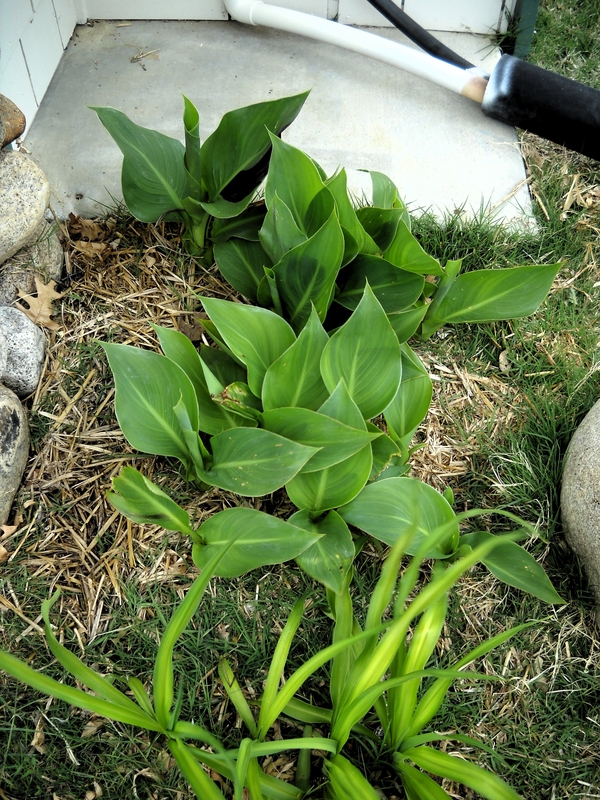 Look for the microclimates in your yard, try out interesting ideas, and don't give up! One parting tip – if you are looking for some easy gardening with big payoffs you might want to try berries. I have been busily picking strawberries daily for the last week, my boysenberries are blooming, my blackberries are budding and the raspberries are looking happy. I still have some of the bumper crop of berries from last summer in the freezer and it looks as though this year's grazing will be just as good. Just plant, add water and do a bit of pruning in the fall. Oh, come to think of it, same with grapes! Happy gardening to you all!